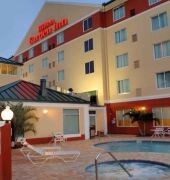 The hotel is located just minutes away from Florida's lush golf courses and white sandy beaches. 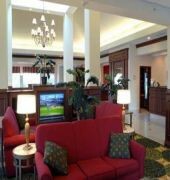 Nearby attractions include a horse track, parks, a sports complex and flea markets.FacilitiesInternet access and wireless internet access (no extra charge) are available in the public areas. Gastronomic facilities include a restaurant. Shopping facilities are available. Guests arriving in their own vehicles can park in the car park at no extra charge. Additional services include room service and a laundry. In addition, a conference room and a business centre are also available.RoomsAll accommodation units feature air conditioning, central heating and a bathroom. Bathrooms with wheelchair access can also be booked. 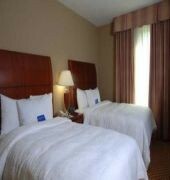 The carpeted accommodation units feature a double bed or a king-size bed. A safe and a desk also feature. A fridge, a microwave and tea and coffee making equipment contribute to a comfortable stay. An ironing set is also available to guests. All rooms offer internet access, a telephone, a TV, a radio, a games console and wireless internet access. Wheelchair-accessible accommodation units are also bookable. In the bathrooms, guests will find a shower, a bathtub and a hairdryer.Sports/EntertainmentSport and entertainment options are available at the establishment. The swimming pool is ideal for a refreshing dip. A hot tub provides an opportunity for relaxation. 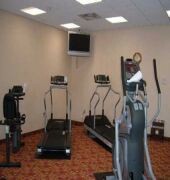 Leisure options available to guests include a gym (no extra charge). 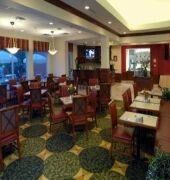 MealsThe establishment offers the following bookable meals and board options: breakfast, lunch and dinner.PaymentThe following credit cards are accepted at the establishment: American Express, VISA and MasterCard.